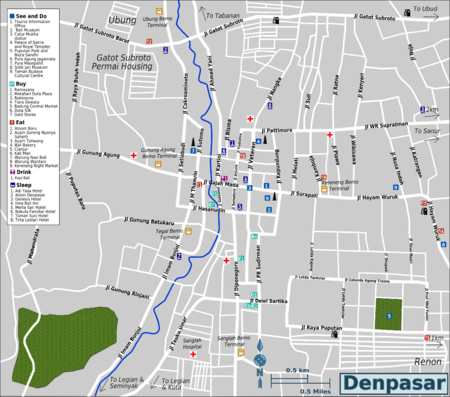 Denpasar  is the largest city and capital of the island of Bali, Indonesia. It is located in South Bali. Denpasar is a bustling, multi-cultural city and although it can seem a little intimidating the first time you visit, just do not believe those travel guides which say it has nothing to offer. 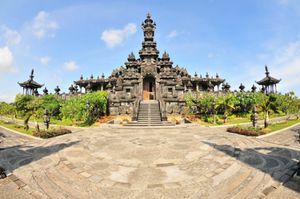 Denpasar is bristling with temples, palaces and museums and its occupants are outstandingly friendly. You will be off the beaten tourist track here, so bring lots of time for a chat with the locals and a decent map of town. You can see many of the main sights comfortably on foot. This is also a notable shopping city with options to please even the most jaded of world shoppers. Bali's airport may be coded DPS for Denpasar, but it's actually located 13 km away near Kuta and covered in the main Bali article. Denpasar is the seat of government in Bali and is therefore home to the provincial governor's office as well as the administration of the Regency of Badung. Jalan Surapati 6, Denpasar. +62 361 234569. 8AM-4PM. A source of information for current events in the city and for picking up a free map. Denpasar is centrally located and easily reached by car or taxi from the main tourist regions of south Bali. A trip from Kuta, Legian and Seminyak will take 20 to 30 minutes depending on traffic. Sanur is just 15 minutes to the east and Ubud about 30 minutes to the north. [2012: Due to traffic, allow 1.5 to 2 hours to reach the airport from Ubud.] Tabanan is about 40 minutes to the northwest. A pre-paid taxi from the airport will cost between Rp 70,000 and 100,000, depending on exactly where in Denpasar you are heading to. The main bus terminal of Denpasar is Ubung, which is also a bemo terminal. Most buses to and from Java depart from here. To and from Surabaya, Java: expect to pay Rp 120,000 by eksekutif night bus, including the ferry trip between Banyuwangi and Gilimanuk, mineral water and a meal. Buses arrive in the Bungurasih bus terminal in Surabaya. Depart everyday 7pm, duration 10 hours. Other bindings to and from most big cities in Java, including Jakarta, Yogyakarta, Bandung and Semarang. Batubulan, 6 km northeast, for points central and east: (Besakih, Candidasa, Kintamani, Klungkung, Padangbai, Ubud). Tegal, to the west, for southern Bali: (Kuta, Legian,Jimbaran, Nusa Dua, Sanur, Uluwatu). Ubung, to the north, for points north and west: (Gilimanuk, Negara, Singaraja, Tabanan). Always ask a local for the normal price before getting in or expect to be charged a price up to ten times what it should be. Don't forget that a bemo departs when it wants (usually when it is "full enough"), which can last for several hours, except in the early morning, where they are rather frequent. In any case, you won't find any bemo after 4PM. There is no train station in Denpasar, since there are actually no trains in Bali. But a travel agency in the Ubung bus terminal has an agreement with Kereta Api , the Indonesian train company. 10:30PM from Surabaya arrival 5:25AM in Banyuwangi, arrival approx noon in Denpasar. 9:15AM from Surabaya arrival 4:04PM in Banyuwangi, arrival approx 10:30PM in Denpasar. 4PM from Denpasar, train departing 10:25PM from Banyuwangi, arrival 5AM in Surabaya. 5AM from Denpasar, train departing 9AM from Banyuwangi, arrival 4PM in Surabaya. Denpasar can be a bit steamy and the traffic pollution a worry, but the centre of this city does lend itself to getting around on foot and walking is recommended. Taxis are widely available for hailing. If you have a group of people, you may want to negotiate a bemo (small van) for a set rate to your destination. Remember that pricing is negotiable. Bemo routes in Denpasar are extremely complicated. In addition to the three terminals described in the section above which operate longer distance bemos, there are three more which handle the local routes (as do the long distance terminals!) - Gunung Agung, Sanglah and Kereneng. Unless you are very patient and somewhat adventurous, bemo transport within Denpasar is best left to the locals to figure out. As a rule of thumb though most routes in the city seem to come through Kereneng Terminal on Jalan Kamboja at some stage! To go from one bemo terminal to another within the city, the fixed price is Rp 7,000 although non-Indonesians may be asked to pay much more. A taxi can work out cheaper, is certainly faster and is indescribably more comfortable. As elsewhere in Bali, motorbikes can be rented, although it is more normal for a visitor to arrive with a bike rather than rent one here. When visiting any of the temples in Denpasar, remember to bring a sarong and sash with you. These temples receive relatively few foreign visitors and are unlikely to have temple dress available for hire. 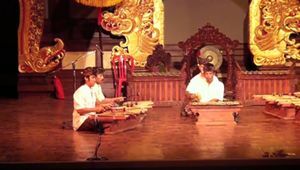 It is very much worth finding information from the official Tourism Office about scheduled cultural events in Denpasar. These are many and varied and include, dance, puppet theatre and art exhibitions. Otherwise, apart from the numerous sights and excellent shopping, there are not really any specific activities to recommend in Denpasar. Pesta Kesenian Bali (Bali Art Festival) http://www.baliartsfestival.com/ The Bali Arts Festival is a full month of daily performances, handicraft exhibitions and other related cultural and commercial activities during which literally the whole of Bali comes to the city to present its offerings of dance, music and beauty. On display are trances from remote mountain slopes, forgotten or recently revived village dances, food and offering contests, classical palace dances, stars of Balinese stage, odd musical performances, "kreasi baru" (new creations) from the dance schools of Denpasar, as well as contemporary choreography and dance companies from other islands and from abroad. The Bali Arts Festival is the Denpasar cultural event of the year, perhaps it would no be too far fetched to suggest that it is the cultural event of Indonesia. The festival is thus a unique opportunity to see local village culture both "live" and at first hand. Tourists are warmly welcomed. When tourism took off after 1965, the Balinese insisted that it followed cultural guidelines: if tourism was to be accepted, it was to be a cultural tourism, or "pariwisata budaya". As the Balinese put it: "Tourism should be for Bali instead of Bali for tourism." In time, this idea become national policy, as part of a larger retvping of regional cultures for national purposes. The policy owes much to the former Director General of Culture (1968-1978) and Governor of Bali (1978-1988), Ida Bagus Mantra, an Indian-educated Balinese. 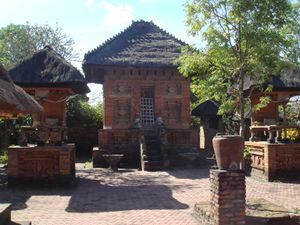 It led, on the one side, to the creation of enclave resorts such as Nusa Dua to limit the direct impact of tourism, and on the other, to a long haul cultural policy aimed at nurturing and preserving the traditional agrarian culture while adapting it to the demands of modernity, and in particular of "cultural tourism". At the village level, local music groups, dances and other cultural events were inventoried, then supported by a series of contests at the district and regency level. The ensuing competition energized the cultural life of villages, whose "young blood" was already being drained to the city by the process of economic change and urbanization. Schools of dance and art were created, in particular the Kokar conservatory and the STSI School of Dance and Music. Beside research, these schools replaced the traditional master/disciple relationship by modern methods of teaching; standardized the dance movements, produced new types of Balinese dances for tourism and modern village entertainment. Most important, it enabled former students to return to the villages as teachers, where they diffused, beside the creed of cultural resilience and renewal, new dances and standardized versions of old ones. Many of the performances are held at the amphitheater which can hold up to 6,000 spectators, in a temple-like stage. Each year, the Bali Arts Festival, beside the fed classical dances of the island, such as the legong, gambuh, kecak, barong, baris, mask dances and the like, is based on the theme around which new "dance choreography" is produced and old village dances and activities revived. Over the years, the whole range of classical Balinese stories - Ramayana, Mahabharata, Sutasoma, Panji - have thus been turned into "colossal" Sendratari Ballets. The main challenge to the Arts Festival is obviously economic in nature. As village life is increasingly feeling the strains of monetary considerations, dancers, musicians and others cannot be expected to continue participating simply for the sake and the pleasure of it. As costs soar, new sources of financing have to be found. The obvious answer is the private sector and in particular the tourism industry. The greater task then is to convince the hotels, travel agencies and tourist guides to be more participatory in the Arts Festival rather than to their own sponsored events. Considering the pride the Balinese have in their culture, and the adaptability and dynamism they have always demonstrated, this little hurdle can be overcome. Trust the Balinese. They will eventually succeed to transform their tradition into a modern, Balinese culture of their own. has become a major event in Bali Event Calendar. The main aim of the festival is to attract large number of tourist from various countries. After its huge success last year, the organizers of the event are planning to make this event even better and bigger. These year Sanur village festival promises a lot of water sports activities and adventure. The event is inspired by Marine life which plays a vital role in daily life of Balinese. Sanur Village Festival is highlighted as major tourist attractions of Bali event calendar. Denpasar Festival a.k.a DenFest The annual Denpasar Festival is an event that celebrates the creativity and cultural diversity of the city. It offers a variety of food stalls, art and handicrafts for sale, traditional Balinese dancing and local award ceremonies. The festival offers a great collection of traditional Balinese food from Ayam Betutu to Babi Guling to a traditional Balinese sweet drink. “We hope this event can be a memorable closing to the year. The festival near end of the year until Dec. 31. The festival also hosts awards even for some of the local cuisine and in search of finding the city’s best. Contrary to what you might read in many guide books, the best shopping in Bali is in Denpasar. Badung Central Market on Jalan Gajah Mada is best visited in the early morning. The ground level is devoted to fresh foodstuffs, dried food and spices are on the second level and handicrafts can be found on the top level. Duta Silk is a fabulous silk emporium located at Block 1, Komplex Duta Permai (next to Matahari Department store) on Jalan Dewi Sartika. Gold stores with globally competitive jewellry prices abound in Jalan Hasanuddin and Jalan Sulawesi. The myriad of small stores selling fabrics and local works in Jalan Gajah Mada and Jalan Thamrin will keep happy even the most jaded of world shoppers. There are several shopping malls in Denpasar, the most notable being Ramayana - selling mostly clothes - on Jalan Diponegoro, Matahari Duta Plaza on Jalan Dewi Sartika and Robinsons opposite Matahari. These malls have a huge range of stores selling everything from clothing to arts and crafts as well as more everyday shops such as pharmacies. Denpasar is a melting pot of different cultures from all over Indonesia. There are few places where the results of the government trans-migration policy are more evident than here. For that reason it is a wonderful place to eat with restaurants specialising in different regional and ethnic Indonesian cuisines. Sometimes this can all seem a bit inaccessible and hard to find for visitors, so do not be shy to ask your driver or at your hotel. The foodcourts on the upper levels of Denpasar's department stores all serve surprisingly good food at excellent value prices. Try Ramayana, Matahari and Tiara Dewata department stores. There are bars and nightlife in Denpasar but these are best left alone by visitors who will feel much more at home in Seminyak, Legian and Kuta. There are many small budget hotels in Denpasar which are primarily aimed at domestic business travellers as few foreign tourists stay in the city here. These are reasonably priced and comfortable enough. Within a 500 metre walk of the Alul-Alun Puputan there are many options which will nearly always have availability. Shop around. Virtually all of Bali can be accessed easily from Denpasar. After spending time in the crowded city, head 45 minutes north to Ubud for clean air and spiritual refreshment. The golden beaches of Sanur are just 15 minutes drive east. If you prefer a cooler climate, take a trip to the central highlands to see the lakeside temples of Bedugul and waterfalls of Munduk. Pemuteran in West Bali is famous for excellent diving and snorkelling. This page was last edited on 1 November 2018, at 14:33.